One of the things that I love about creativity, is that there are so many ways to be creative, enough ways, in fact, that it is entirely possible for every human being to find some kind of creative outlet. I’d even argue that having a creative outlet is essential for true wellness. I’ve always been fascinated by interpretive art and the debate that always seems to erupt around it, wherein critics consider an original work to have unquestionably more artistic value than any interpretation of that original work could ever have. And yet, I find the act of interpretation to be just as valid an art form. Books made into movies, Shakespeare plays staged in modern dress, jazz alone is perhaps the most interpretive, and even a new recording of a Mozart string quartet falls into this category, etc. Ask yourself why there have been so many recordings and performances of the classics. You know they don’t just want to play the notes on the page. They want to interpret it, to breathe new life into it, to change it by loving it deeply. As a musician who doesn’t write his own songs, perhaps I’m a bit biased, since all I do is interpretation, all I play are what are called “cover songs”. I play songs that other artists created, songs that I love, songs that have moved me or made me think, and I try to play them as well as I can in honor of the gift given by the original artist. Of course, like all art, sometimes it works well, sometimes it can be downright terrible, and other times it can be nothing short of transcendent. Well, I came across a real treat today. Tribute albums come out all the time, a slate of artists choose their favorite songs by a particular musician or band, and they record an album of covers. In this case, a group of bands in Wisconsin decided to cover one whole album by my favorite band, Wilco. The album is their 1999 record, Summerteeth, a stunning example of a band breaking free from the chains of the genre pigeonhole. They lost a lot of fans who wanted them to make country-based Rock & Roll ad infinitum, by releasing their second double album in a row, a compilation of songs with influences from all over the genre spectrum. I think it’s a true masterpiece. 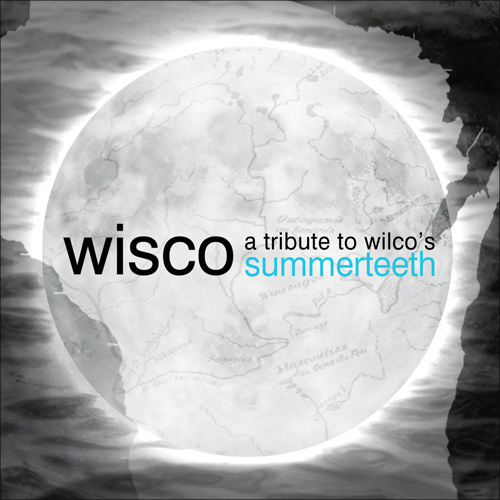 What’s particularly sweet about the tribute album, Wisco, is that it sounds really, really good. You can stream all of the songs from the website and see for yourself. Not a dud, in my opinion, amongst them.